Spring is nature’s way of saying, "Let’s party!" Looking for a simple and beautiful way to create your layouts? Look no further! 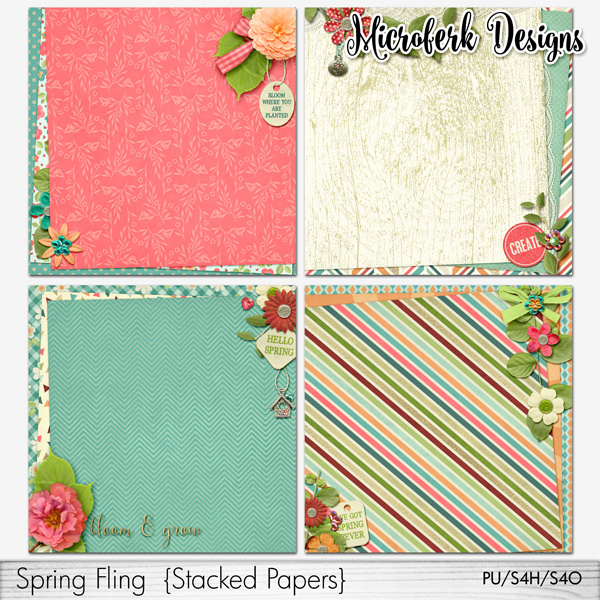 In " Spring Fling Stacked Papers" by Microferk Designs, you get 4 already assembled, flattened jpg, pre-shadowed stacked papers, with embellishments galore! Just add your photos, more embellishments and journaling if desired, and your ready to go! Be sure to check out the coordinating " Spring Fling Collection" by Microferk Designs for more goodies like this! Created 12x12 inches at 300ppi for outstanding print quality. Scrap-4-Others, Scrap-4-Hire Friendly! 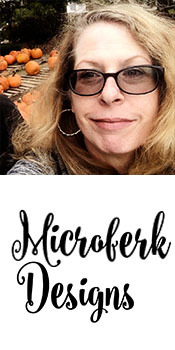 Check out the coordinating " Spring Fling Collection" by Microferk Designs to extend your creative possibilities even more!